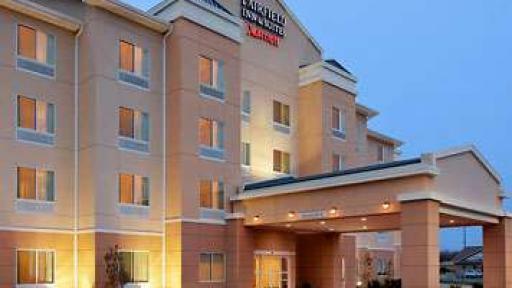 Located two miles from James Madison University in the Shenandoah Valley, Fairfield Inn & Suites by Marriott Harrisonburg makes travel effortless. 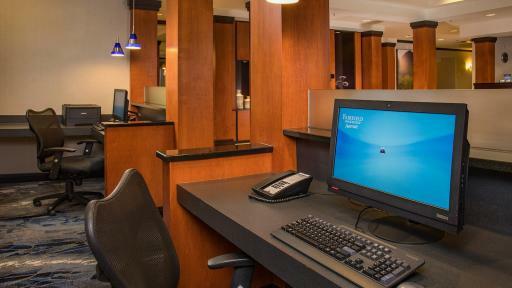 Welcome to Fairfield Inn and Suites Harrisonburg, the perfect place to begin your Shenandoah Valley adventure. 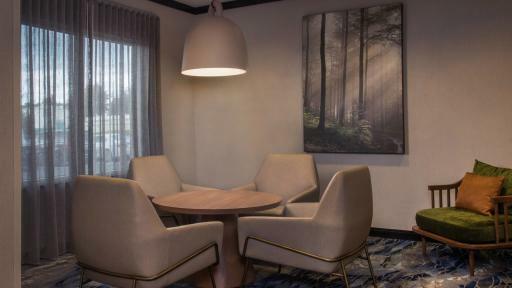 We’re located near the breathtaking Blue Ridge Mountains as well as Skyline Drive, and you’ll find a wonderful selection of restaurants nearby. 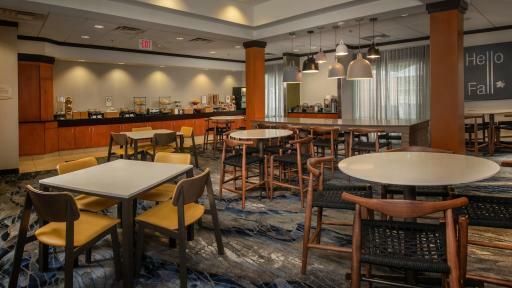 We work hard to make your stay easy at Fairfield Inn and Suites, with a complimentary hot breakfast each morning, grab-and-go snacks from our 24-hour Market, and complimentary Wi-Fi. 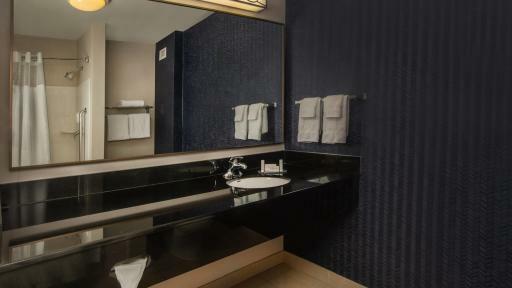 We offer an on-site fitness center and access to Gold’s Gym, and our refreshing indoor pool is the perfect place to relax after a busy day. 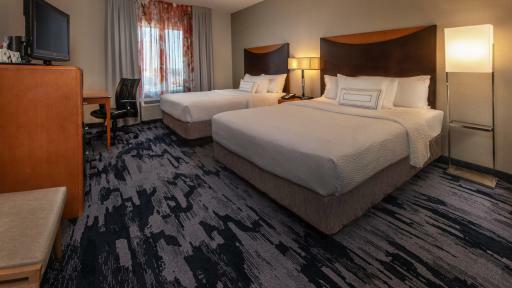 At Fairfield Inn, we offer a variety of accommodations designed to fit your individual or family needs, from a comfortable King room for an overnight business trip to our spacious studio with a separate living room, a sofa bed, and a microwave and mini-fridge. 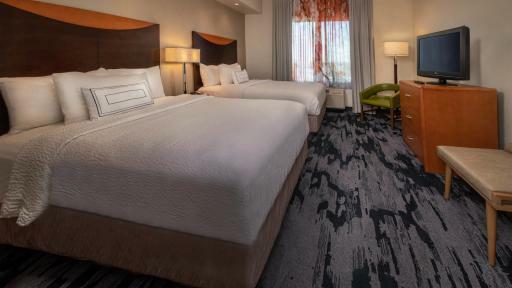 For great service, outstanding amenities, and a restful night's sleep, book your stay today at Fairfield Inn and Suites. 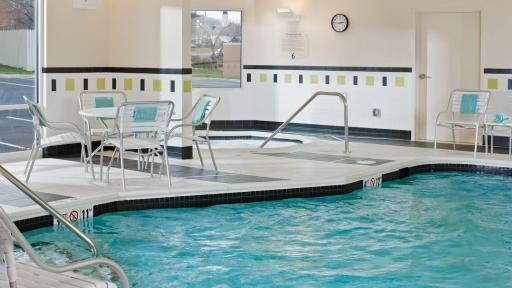 Welcome to Fairfield Inn and Suites Harrisonburg, the perfect place to begin your Shenandoah Valley adventure. 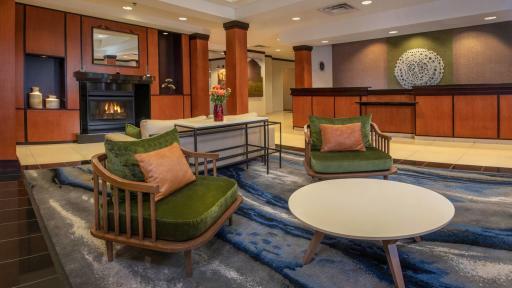 We’re located near the breathtaking Blue Ridge Mountains as well as Skyline Drive, and you’ll find a wonderful selection of restaurants nearby. 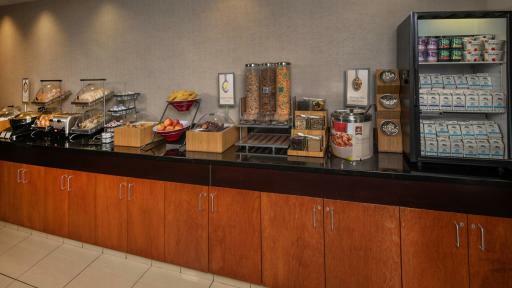 We work hard to make your stay easy at Fairfield Inn and Suites, with a complimentary hot breakfast each morning, grab-and-go snacks from our 24-hour Market, and complimentary Wi-Fi. 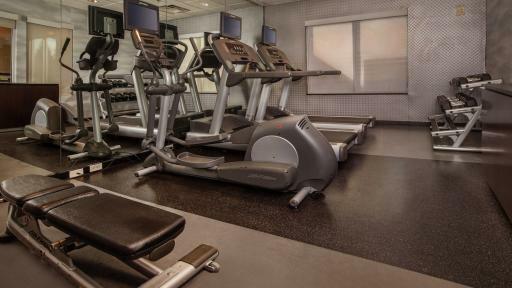 We offer an on-site fitness center and access to Gold’s Gym, and our refreshing indoor pool is the perfect place to relax after a busy day. 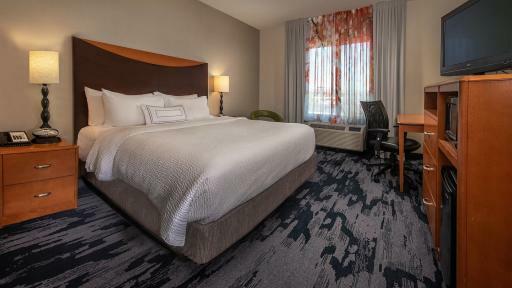 At Fairfield Inn, we offer a variety of accommodations designed to fit your individual or family needs, from a comfortable King room for an overnight business trip to our spacious studio with a separate living room, a sofa bed, and a microwave and mini-fridge. 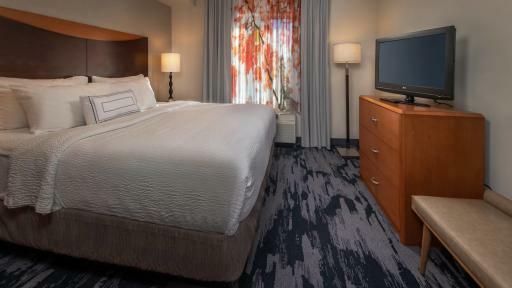 For great service, outstanding amenities, and a restful night's sleep, book your stay today at Fairfield Inn and Suites.